Home CDN , children , crafts , feature , February , holiday , holidays , homeschool , papercrafts , printables , US , worldwide February 9th - Featuring G.I. Joe Freebies! February 9th - Featuring G.I. Joe Freebies! -- G.I. Joe is a line of action figures produced by the toy company Hasbro on February 9, 1964. The initial product offering represented four of the branches of the U.S. armed forces with the Soldier (U.S. Army), Action Sailor (U.S. Navy), Action Pilot (USAF), and Action Marine (USMC). The term G.I. stands for Government Issue and became a generic term for U.S. soldiers (predating the action figures), especially ground forces. -- The rewards found collecting G.I. Joe – A Real American Hero! – are abundant. But be prepared. Like any good soldier, you'll want to enter the fray well armed. The Ultimate Guide to G.I. Joe, 1982-1994, 3rd edition documents with pictures, words, details inside intel and secondary market values for every G.I. 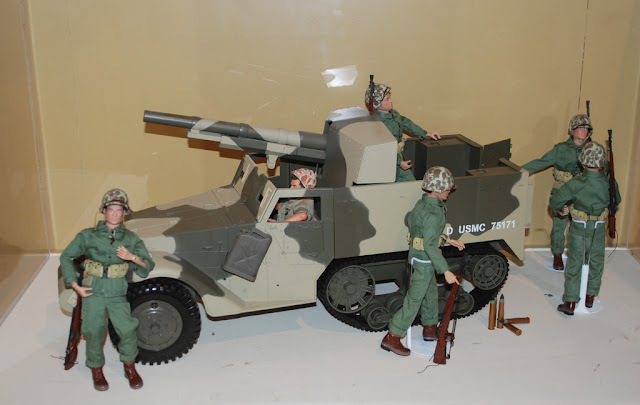 Joe character, vehicle, playset, accessory and weapon system – as well as easily lost pieces for each – in this vintage run. • G.I. Joe Exclusive -- Celebrate the history of G.I. Joe Action Figures with this authentic reproduction of a 1964 GI Joe Figure. It comes in a reproduction box. The figure is a 1/6 scale (12 inches tall) figure. The figure comes with a reproduction of the original manual. The figure is articulated and poseable just like the original GI Joe figure. • G.I. Joe: A Real American Hero - The Complete First Series -- Yo Joe! G.I. Joe is the code name for America's highly-trained special missions force. Its purpose: to defend human freedom against Cobra, a ruthless organization determined to rule the world! In 1983 Hasbro made a bold statement when it relaunched its classic toy line of action heroes as an adventure-based team of unique characters, each with his — and her — own specialties. And because it captured the imaginations and hearts of boys and girls aspiring to make a difference in the world, G.I. Joe: A Real American Hero was an immediate success lasting over 25 incredible years. - The day honors a version of the traditional Jewish bread which is topped with topped with thinly sliced cured salmon. The earliest mention of bagels dates to 1610 in Poland and the earliest record of cured fish dates back to ancient Rome. It's unknown when the two foods were first put together, but the art of the combination has excelled in no other place like the Americas. - Celebrate this day by learning or reviewing the cause of a toothache and tooth decay. Pass this education along to your kids. If you have a toothache today, by all means, call your dentist. - Hershey's is one of the oldest chocolate companies in the United States and an American icon for its chocolate bar. It is one of a group of companies established by Milton Hershey. Its headquarters are in Hershey, Pennsylvania, which is also home to Hershey's Chocolate World. It was founded by Milton S. Hershey on February 9, 1894, as the Hershey Chocolate Company, a subsidiary of his Lancaster Caramel Company. - Spend this cold winter day in a nice warm tub enjoying a good novel. What book will YOU be reading? - British pop phenomenon the Beatles began the British Invasion of America on February 9, 1964, with their appearance on America's top television variety show. The Beatles performed five songs before a screaming studio audience of 728. The estimated viewership for that night's show was 73 million people —- making it the most-viewed US TV program in history up to that time.